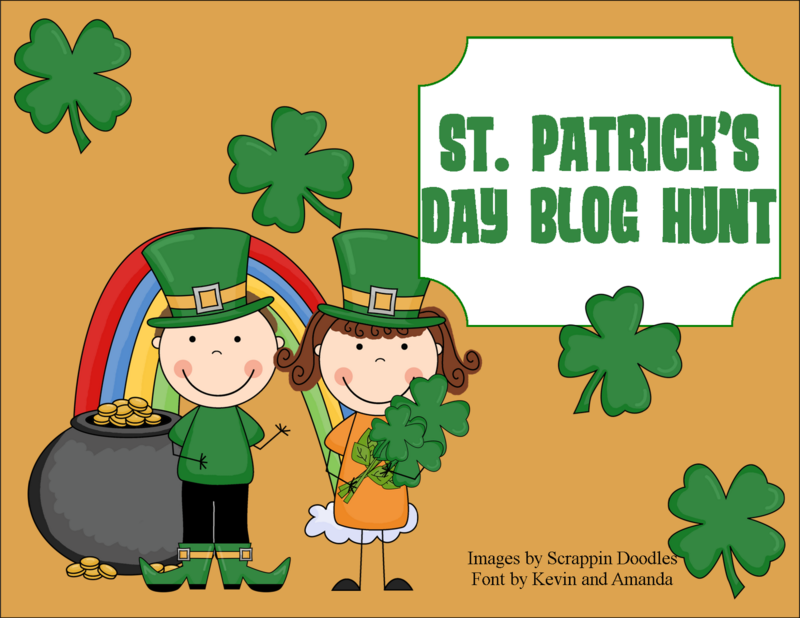 Welcome to the St. Patrick's Day Blog Hunt! 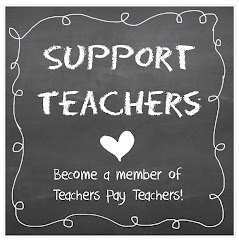 If you are hopping on over from Sharing Kindergarten or Kindergarten Smiles, our Day 3 bloggers, I am so glad you are here! 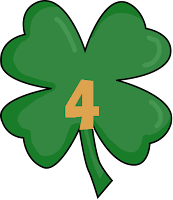 I hope you are feeling lucky today because I have not one, but TWO St. Patty's Day freebies to share with you today! 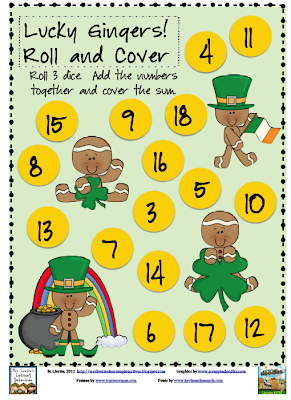 The first one is a new Roll and Cover math game to practice adding 3 numbers. For younger learners, you can have them count the dots on 3 dice. For older learners, use number dice instead so they practice finding the sum mentally. Click the picture to grab your free copy! 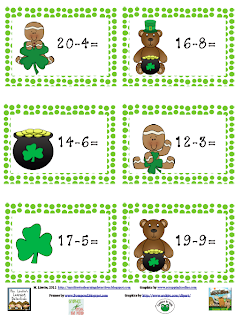 I also have a St. Patty's Shamrock Subtraction game for you! I suggest placing the cards inside of a St. Patrick's Day hat or pot for extra fun. :) They can usually be found this time of year at Target or the Dollar Store. 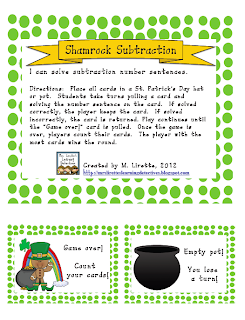 Click an image to grab your free subtraction game! I am sending you off to another wonderful site for tomorrow's St. Patrick's Day Blog Hunt. Click the shamrock and you'll be on your way! I gave you an award! Come check it out! It's Grow Time! You are too sweet- thank you! Great share! Thanks. 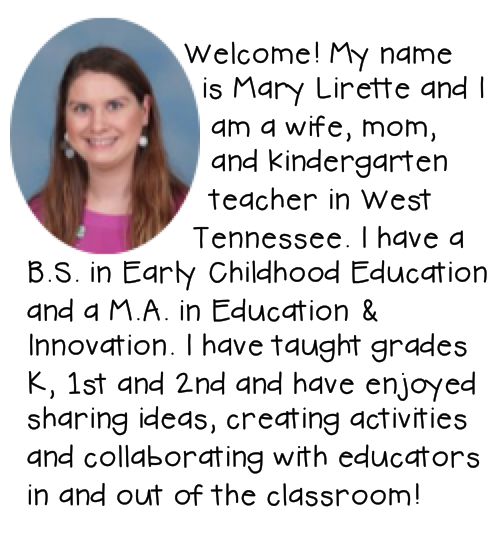 I am a new blogger at firstclassteacher.blogspot.com. I'd love for you to check me out and follow me if you like my blog. Thanks! Thanks! I'll have to check out your blog! Thanks! I'll have to check you out! Just awarded you with the "One Lovely Blog" award! You can grab the award on my blog! Looks great!!! Thanks for sharing this. Thank you for sharing! My children love the roll and cover! Thank you so much for doing this blog hunt! It's because of the hunt that I found you! I love your blog!! So many great ideas. 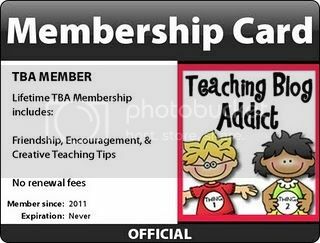 I have given you an award on my blog. I would love it if you would stop by an pick it up. I'm so glad you found me! Thanks for the award! What a great share! I love your blog hunt!! Thank you!! 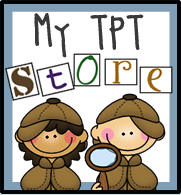 The blog hunt was such a great idea! I gave you an award. Please come on over to check it out. Macaroni Quotations & Chicken Wings? 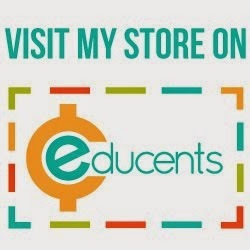 "Egg"celent Math & Literacy Freebies! Patterns, Basketball...Time for a Giveaway!